Equine Attorney – Steven Tarshis, Esq. Steven M. Tarshis’ equine attorney story begins in Queens, New York. There, he was born, raised and studied. After earning a B.S. from the City University of Queens College, he went on to earn his law degree from Syracuse University College of Law in 1973. As a result of passing the Bar in New York, Steven began practicing law in New York City for several years. Then in 1976, after passing the State Bar of New Jersey and the Federal Bar and the Supreme Court of the United States, Mr. Tarshis established his own law firm with offices in West Orange, New Jersey and New York City. As Steven’s complex business oriented practice grew, the need for large firm resources led him to the doors of Budd Larner, PC of Short Hills, New Jersey where he was of counsel and later, as a partner at Weiner Lesniak, LLP of Parsipany, New Jersey. Finally, in 2008, Steven again opened his own practice. This time he moved to his gentlemen’s farm, in the heart of the vibrant equestrian community in scenic Hunterdon County. As a result, he could continue to grow and work closely with his clients. Steven concentrated on entrepreneurial, closely held businesses, commercial real estate, commercial financing and estate planning, while enjoying the opportunity to continue his participation in the equestrian disciplines of eventing, jumping and dressage. It was also in 2008 when Mr. Tarshis deepened his commitment to his community and started his nine-year career of public service for Franklin Township as their mayor. Steven served for an unprecedented two terms while also serving on the township committee. It was there that some of Steven’s most gratifying work took place in working with other leaders and members of the community in preserving thousands of acres of farm land and open space. EquiLaw, LLC. ~ Providing equine attorney solutions for you, your horses and horse business. – Steven M. Tarshis, Esq. 1976: The Supreme Court of The United States. Young, Tarshis and Dimiero,Founding Partner, New York City, West Orange, New Jersey. Eight years of Public service including two terms as Mayor and also on the town committee of the Township of Franklin in Hunterdon County, New Jersey. Dedicated advocate and community leader working with other elected officials and citizens for the preservation of thousands of acres of farmland and open space. Member Board of Trustees of the United States Equine Rescue League, Inc. Member Board of Trustees Riding With Heart Therapeutic Riding, Inc.
Elected Top Rated Lawyers by the Wall Street Journal. Do I Need an Equine Attorney? 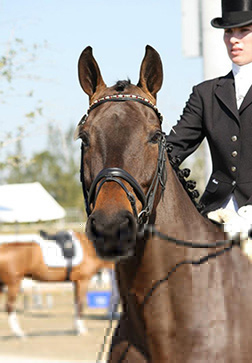 In short, every person who owns, rides, or participates in the equestrian industry whether it be for sport or a business can benefit from equine legal counsel. It is not widely understood that equine-related transactions that are considered simple and straightforward, such as the purchase, sale, or lease of a horse, are situations that really warrant equine attorney legal advice and guidance. Certainly, most people recognize that transactions that are more complicated, such as the syndication of a race horse or the development of real property as an equine facility, require an equine attorney. However in both transactions that are considered simple and even those that are recognized to be more involved, we have found that all too often, persons contact EquiLaw not at the beginning of a transaction when problems can be avoided, but after the problems have arisen. Establishing a relationship with an equine attorney, and obtaining legal guidance or representation of an attorney prior to an equine transaction, can prevent potentially costly and stressful litigation should something go awry. EquiLaw can provide expert counsel for the protection of rights and investments. Recently, EquiLaw persuaded the land use board of a New Jersey municipality to grant a zoning variance for a client that purchased a farm property for commercial horse breeding and training purposes. An equine lawyer’s argument on behalf of the property owner resulted in the client being granted permission to construct barns, board horses, and install fencing to a degree that would have otherwise been impermissible. If you own, sell, buy, train, board, or breed horses, or have an equine-related business or property, and have an issue that you believe can benefit from the input and advice of an equine lawyer, please contact us for a complimentary consultation. 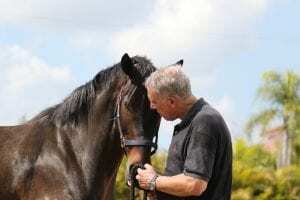 For a better understanding of the services that we provide and how we can assist you in virtually any kind of transaction that involves horses or a horse related business please visit our Services Page. You can email us from our contact page, or for a faster response, call us at (844) 737-8452. 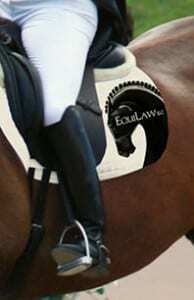 EquiLaw looks forward to helping protect yourself, your horses, and your investments in the equine industry.